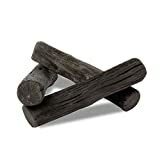 Help purify the air and promote a healthier environment when you place this decorative bundle of Sumi - Binchotan Charcoal Air Freshener Sticks around your home or office. Sumi, the Japanese word for charcoal, are made from burning high quality binchotan (holm oak) at a small workshop in Kishu, Japan. 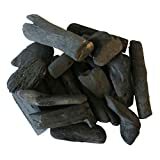 This legendary charcoal naturally removes unpleasant odors from the air, regulates the humidity, absorbs chemicals, dissipates the electromagnetic field from household appliances and even generates negative ions, which are believed to put you in a better frame of mind. It makes a great housewarming gift and looks cool too!